If you love eastern fashion then She Stitch is the hot spot for you. 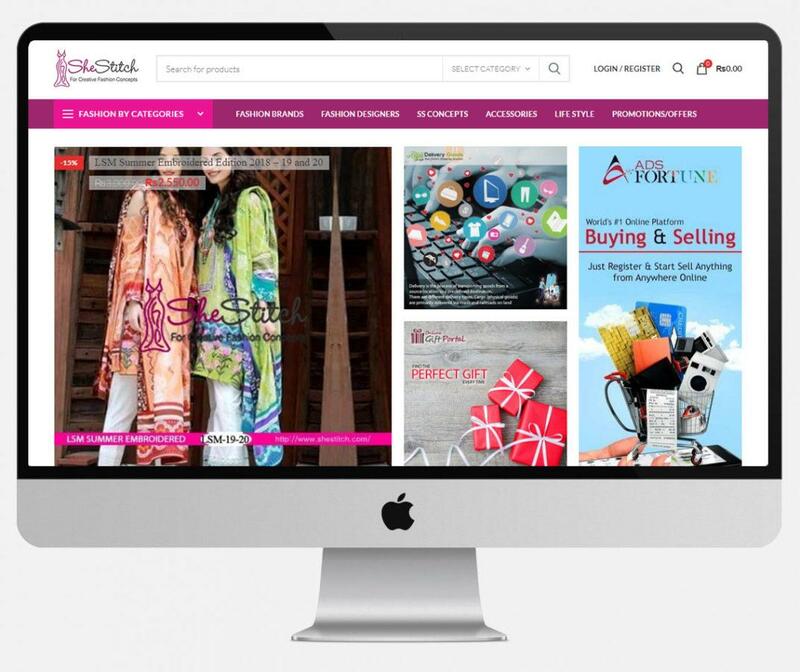 Now you can shop Pakistani fashion brands, fashion designers and SS Concept dresses online. 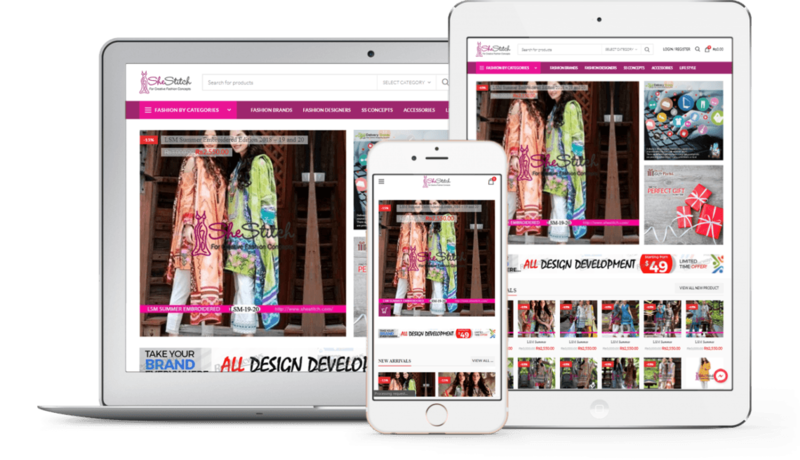 Whether you are in Pakistan or outside the country, you can now shop your favourite fashion designer and fashion brand clothes online at the platform of She Stitch – the only reliable and genuine fashion dress provider in Pakistan. We have made it easy for you to put the dress in the cart and place your order. She Stitch offers a variety in fashion for its fashion lover customers. If you love designer clothes, you can simply shop from our Fashion Designer category. If you like brands, we have Fashion Brands. But if you like to wear exclusive dress, She Stitch is here. To ease the shopping experience, we have enabled the customers to sign-up and login to place the order. If you are not comfortable signing up on the website, you can order as a gust. The real-time search bar allows the customers to search their desired products rather than navigating and searching them manually. Just make sure to enter the right spelling of the product and hit Enter and your desired item is right here. If you are a window-shopping lover, then we have a good news for you. 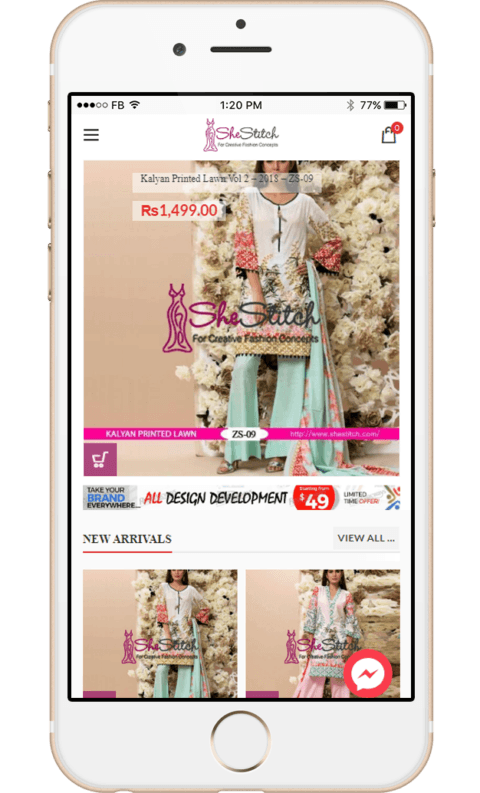 You can now shop through different main categories and subcategories. We offer different categories including Fashion Designer, Fashion Brands, She Stitch Concepts, and Accessories & Lifestyle. This is the only platform to shop She Stitch products online & be in style! She Stitch is the name of a fashion brand with exclusive and unique designs. She Stitch fashion dresses and other items are high on demand and therefore they are mostly limited in stock. Unlike other fashion brands, She Stitch fashion items are not too pricy or out of your reach. They are available in reasonable price. We have a wide range and variety of style in She Stitch fashion collection. From ready-to-wear to unstitch and Kurtis are available. She Stitch deals in different categories related to the fashion items, be it dresses, footwear, cosmetics, jewelry, or eyewear. She Stitch is all about affordable fashion that does not make you break your bank. We offer exclusive discounts to make it happen. We have exclusive ready-to-wear kurtis, two pieces and three pieces for casual wear as well as formal and semi-formal. We have a unique collection for formal and semi-formal wear in a variety of fabrics including silk, chiffon and net/tissue. She Stitch is all about fashion items and accessories are one of them. We offer cosmetics, jewelry, footwear, and eyewear. Subscribe to Newsletter for Promo and Discounts! We know that you love discounts. If you are here to shop for fashion items and want to avail discount, then subscribe to our newsletter to be updated about new offers.